Your new home JUST REDUCED is waiting for you in Vandalia! 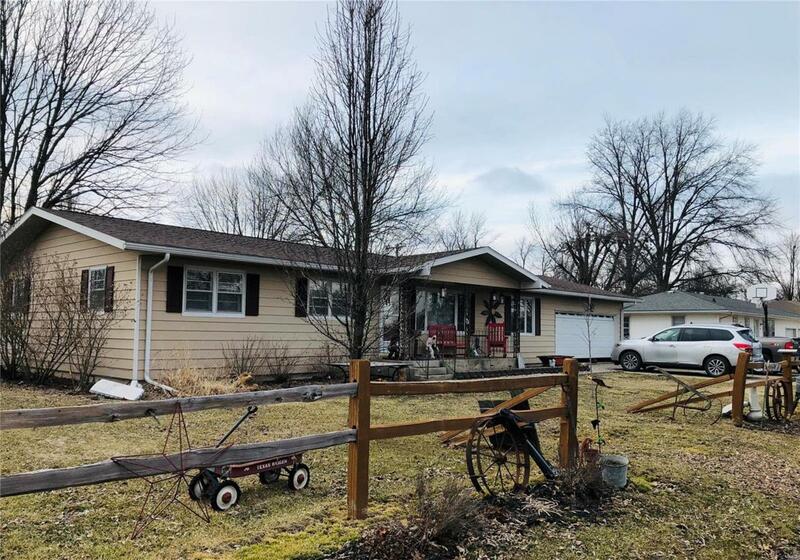 Spend your evenings out on the back deck or sitting on the front porch enjoying the peaceful country life even though you are just inside city limits, but it feels like country with the view across the street. This well cared for ranch style home has been updated with laminate flooring and ceramic tile throughout most of the house. It has three bedrooms with an additional room that could easily be a dining room or office. You won't believe the space you have in the utility/laundry room and the ceramic tile shower is beautiful!! !Located only 2 blocks from the city park and pool. School bus stops in front of the house. Brand new YMCA in town. Established garden area for flowers and/or vegetables. Don't wait too long as this is a great home and will go quickly!